Picnics, swimming, cook-outs, hot dogs, hamburgers, camping…a three day weekend of family fun. We look forward to this for weeks. These are all favorites for the holiday that announces that summer has arrived. Family fun should be a priority and this is good. 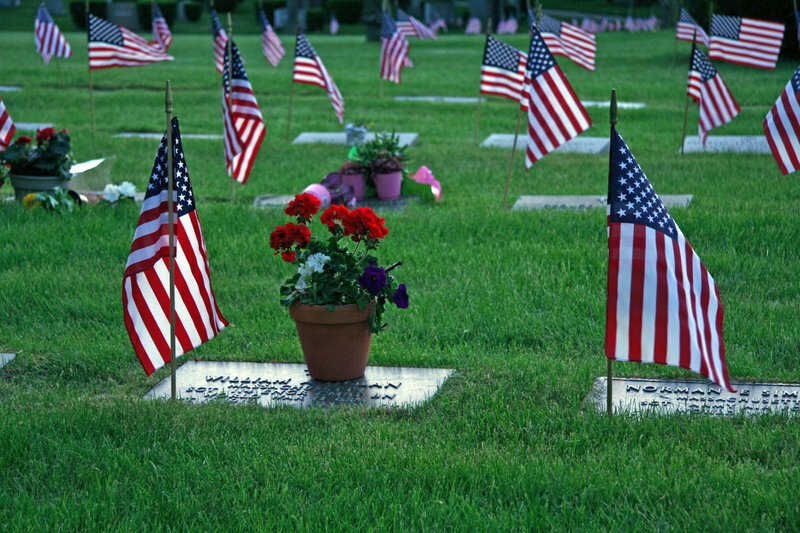 But, have you stopped to think about the true meaning of Memorial Day? It is important to remember why we have this holiday and to teach our children. Children need to know how to show respect for their country and to the people who have died for their freedom. The freedom to worship on Sunday mornings without fear, the freedom to go to school, the freedom to express our thoughts in public, the freedom to walk down the street, the freedom to study and become whatever we want , the freedom to do so many things without fear of persecution. FREEDOM! it is not free, although we personally didn’t have to pay for it. Somewhere, somehow, a brave soldier paid the price for our freedom. 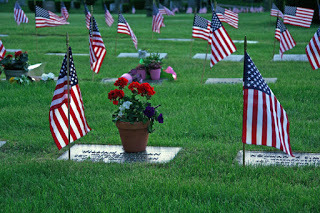 Memorial Day was originally called Decoration Day, and is a remembrance for those who have died, giving the ultimate sacrifice, in our nation’s service. For those men and women who gave their lives so that we could live in freedom. I remember as a child each Memorial Day filling the car with carefully selected wreaths for members of my family. We would drive to several cemeteries and decorate the graves of those who had gone before us. My mother proudly displayed the flag. 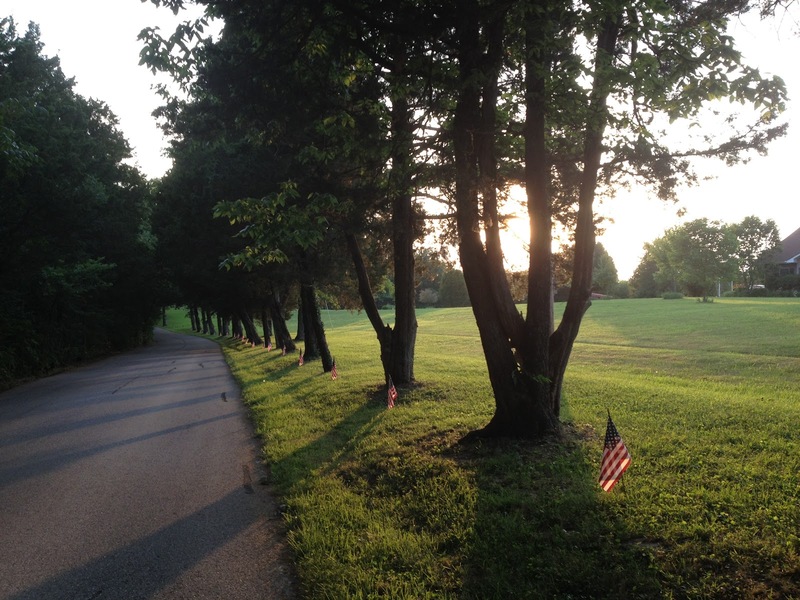 Memorial Day was a day of reflection, reverence and respect. My grandfather served in WWI, two of my uncles in the Korean War. I read a story about someone who was going to buy a bunch of carnations. They were going to go to the cemetery and walk through the section for soldiers and leave a flower on each grave that had no flowers. They were going to pray for our country and all who serve or have served, for their families for the disabled veterans and for anyone who was still held in captivity. They were going to remember. Charlie Gragg from Penryn, CA wrote a poem entitled, Our Gift to the Fallen in 2007. What Memorial Day traditions do you have in your family to carry on the knowledge and memory of why we live in the land of the free?